Govt mulls cut in divestment target to `30,000 crore. Keeping in view the volatility in the stock market, the Department of Disinvestment (DoD) plans to halve the PSU stake sale target to Rs 30,000 crore. New Delhi : Keeping in view the volatility in the stock market, the Department of Disinvestment (DoD) plans to halve the PSU stake sale target to Rs 30,000 crore. "The target of Rs 30,000 crore seems more reasonable for current fiscal given that there is no big stock to sell," a source said. The government has budgeted to raise Rs 69,500 crore through disinvestment in the current fiscal. Of this, Rs 41,000 crore is to come from minority stake sale in PSUs and the remaining Rs 28,500 crore from strategic stake sale. With seven months of the current fiscal about to be over, the government has been able to sell sell stake only in four companies -- PFC, REC, Dredging Corp and IOC -- to net Rs 12,600 crore. For disinvestment in 2015-16, the government has a pipeline of over 20 PSUs for which it has the Cabinet approval. These include, 10 per cent stake sale each in OIL, Nalco, NMDC, and 5 per cent each in NTPC, ONGC, BHEL. Besides, plans are afloat for a 10 per cent stake sale in Coal India. However, volatile market conditions have dented the prospects of a stake sale, with the recent disinvestments of IOC and PFC facing rough weathers. "Coal India stake sale is not likely in current fiscal. Besides, valuations of metal and minning stocks are low at present which makes it difficult to proceed with stake sales," the source added. Although the government has missed its divestment target for five years in a row, the target for the current fiscal, 2015-16, was set at a massive Rs 69,500 crore -- 180 per cent higher than the total amount garnered from PSU share sales in the previous fiscal. In 2014-15, the government raised around Rs 25,000 crore against the target of Rs 58,425 crore. The Rs 58,425-crore target included Rs 43,425 crore from minority stake sale and Rs 15,000 crore from residual stake sale in erstwhile PSUs. 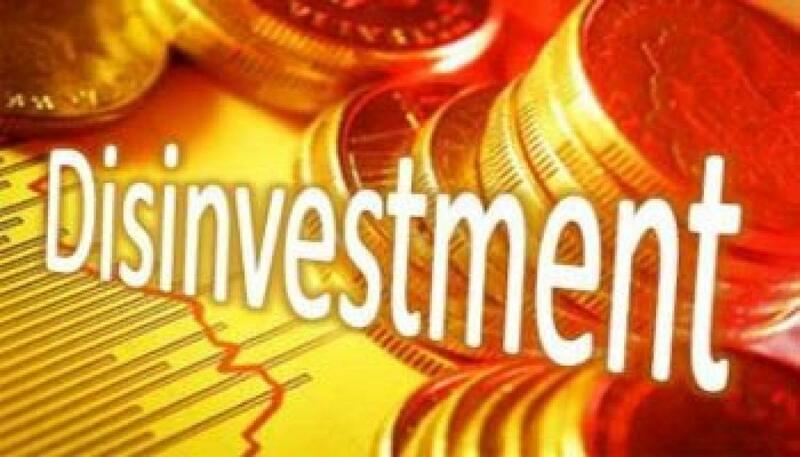 The government has missed its disinvestment target for five consecutive financial years. In 2010-11 and 2011-12, the government had raised Rs 22,144 crore and Rs 13,894 crore through disinvestment, against the budgeted target of Rs 40,000 crore in each year. In 2012-13, the government had raised Rs 23,956 crore as against the target of Rs 30,000 crore. In 2013-14 it raised Rs 16,027 crore against a target of Rs 40,000 crore.